What is the purpose of the Industry Highchair? The Industry Highchair takes comfort to another level with a sculpted polyurethane high chair design and exceptional mechanical flexibility. Easily adjustable up to 800mm high thanks to the sturdy gas lift seat height adjustment mechanism, the Industry Highchair lets anyone find their comfort zone with ease. 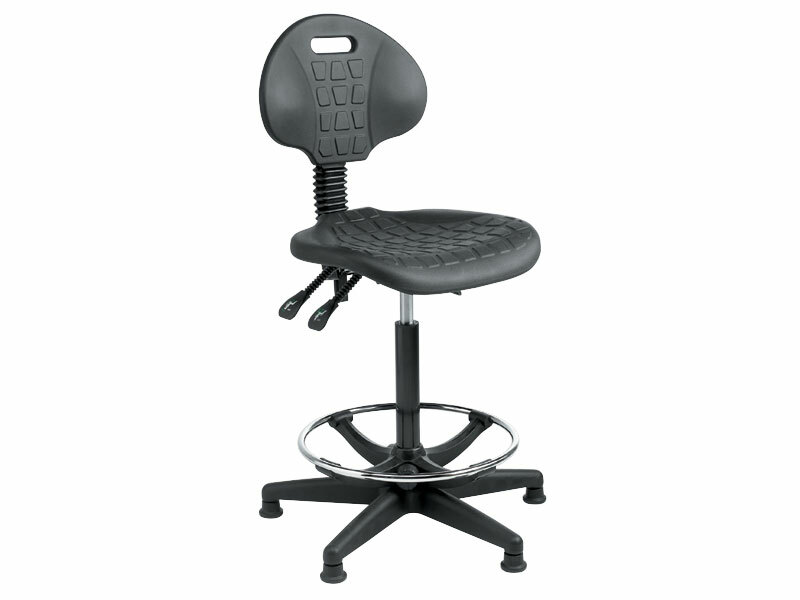 Built-in foot rings for off-the-floor support make it easy to find the sweet spot in this elevated office chair. 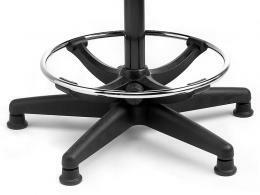 The Industry Highchair features unique 5-star glide base for easy movement and a sturdy experience when seated. 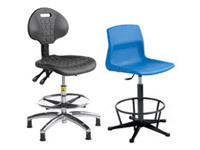 The Industry Highchair is unique among most elevated chairs for offering not just the standard height but ergonomic comfort. Add a fleet of Industry Highchairs to any office or workplace and you’ll be happy to take a seat even on the hardest days of work. 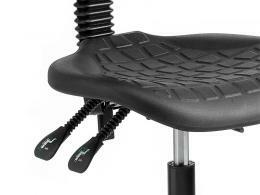 The seat cushions are just soft enough so your body doesn’t lose sensation from lack of blood flow. The sturdy base features glides for added stability while working or when transporting the Industry Highchair around the workplace. Even if you’re working in a busy workspace with many people around, the Industry Highchair will provide you with a level of security you can’t find in many other tall elevated chairs. When you need to work on an elevated level, the only way to sit is on top of a Industry Highchair. This is the office highchair that has become the industry standard, appearing in offices and workspaces around the world. Its look is symbolic of what it means to work in an office in the modern era. Don’t miss out: get your Industry Highchair today.